Yes, it’s time to get snapping once again! Please see here for the winners for 2010. The volunteer event for Sunday was a continuation of the preceding event. 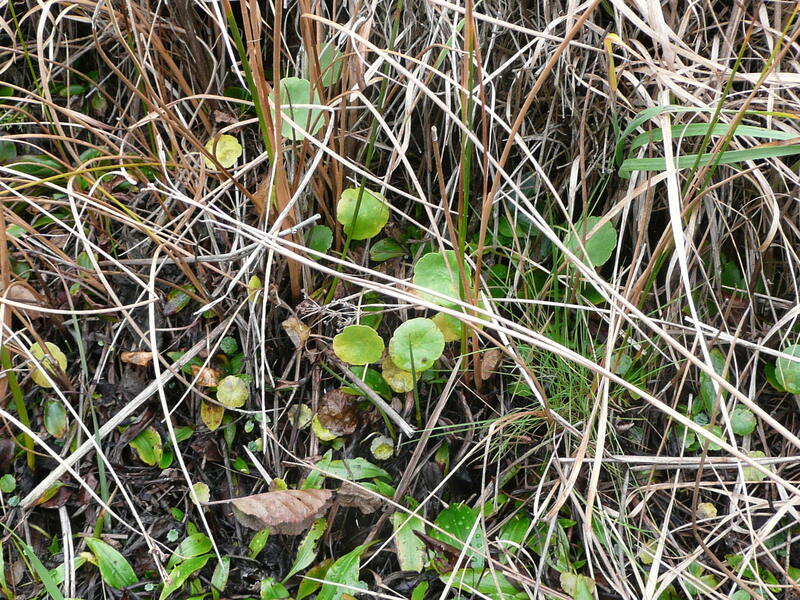 A number of interesting plants were spotted, see the photos above and below. 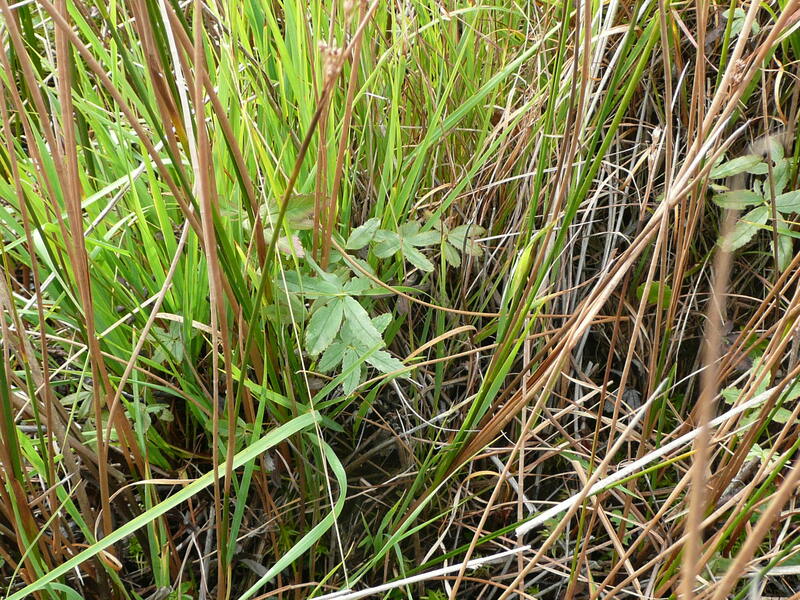 All these small marshland plants are denied light by extensive tree intrusion into the open marsh habitat. Without sunlight the seeds cannot regenerate and the seeds lie dormant in the moist soils. If the trees were to be allowed to grow to maturity the seed bank would be buried forever under leaf litter which raises soil levels over time. This process dries out soils such that the moisture loving plants are lost. With the plants go all the diverse invertebrate life that relies on them and their predators on up the food chain. This is the loss of diversity that marshland management seeks to address. Regarding the picture above, the spider (top rhs) is a young Dolomedes (Raft spider), one of the invertebrate predators of the insects that feed on the marshland plants. It does not make a web but catches insects that land on the water to lay eggs. Hairs on its feet allow the spider to walk on water, but it will also dive to catch tadpoles and small fish. 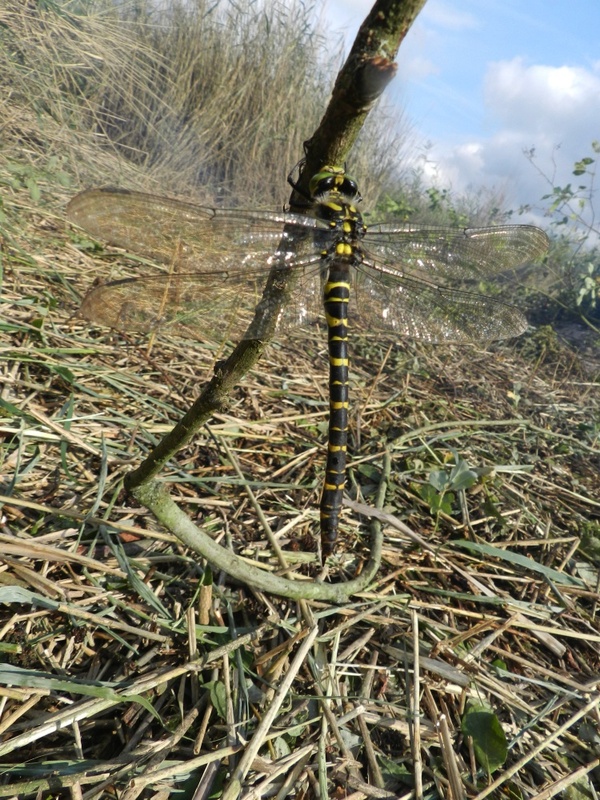 Females will produce a web nest on reeds to protect eggs and young. This Sunday, 10:00 to 12:00. Details here. On the 18th and 19th September, ‘The Hedgehogs’ once again visited Fleet Pond to help with our conservation tasks. The group’s members are all graduates of Southampton University and former members of Southampton University Conservation Volunteers (SUCV) – see a previous post for further information! Even after having graduated from Southampton University for 3 years or more ‘The Hedgehogs’ are still going strong. 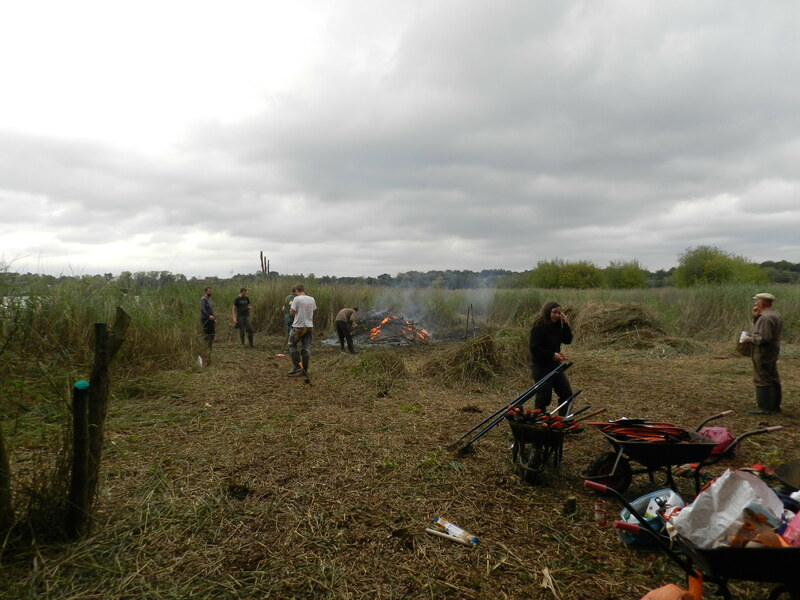 We returned to Fleet Pond again this year to help out with our annual battle against willows, mud and water using our normal tools of a big pile of bow saws and a sizeable fire. Many thanks go to Colin Gray of FPS for organising our accommodation and the work tasks again! 15 volunteers stayed overnight at Fleet Baptist Church and woke bright eyed and bushy tailed for the Saturday. After a cooked breakfast to fuel us we arrived at Fleet Pond. 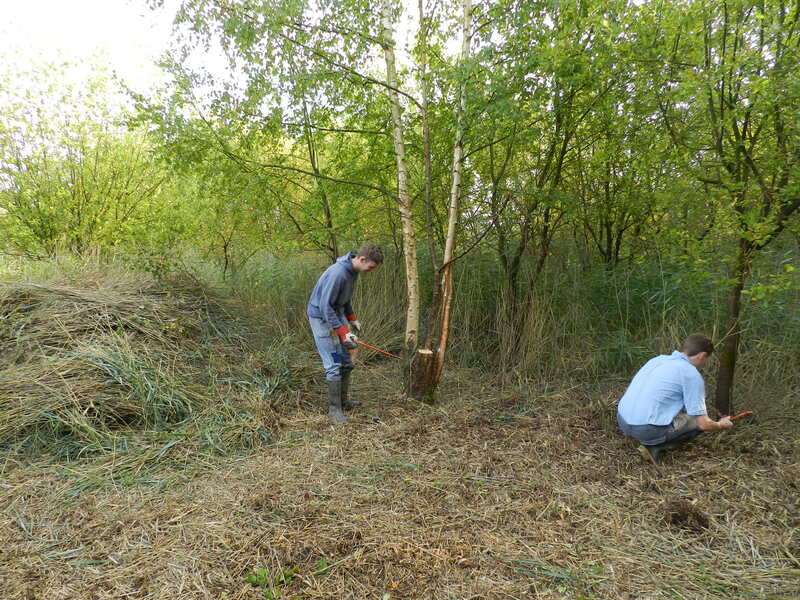 With a swift tool talk and briefing we ploughed into Brookly reedbed to tackle the alder and silver birch. Even after our long gap since last doing conservation we soon got into the hang of it, with John, Hugh and some of us others generally ignoring the advice to leave the big trees to the chainsaws – much preferring the challenge and the very satisfying noise as they fell to the ground. After a hard days work with a nice large fire and jacket potatoes for lunch we had cleared a significant area and made a large pile to start the next day’s fire. After an interesting night in the Baptist Church with nice home cooked fajitas to refuel us, followed by lots of sleep and another fried breakfast those of us that were left on the Sunday arrived at Fleet Pond for Day 2. Again we jumped into the reed bed feet first and cracked on with the work. Swiftly processing the leftovers from the previous day we had the fire roaring back to life and we moved on to the edge of our clearing. After a solid morning’s work we came to the edge of the water and spotted our targets growing in the pond. After some precarious balancing acts and getting a large tree stuck in the middle of the pond we managed to clear all the unwanted growth around the edge of the reeds. Stopping at 3 o’clock to give the fire a chance to die down gave us the time to admire our handiwork and generally collapse after the weekend’s hard but successful work. For species seen on a previous bird walk, see here. We are always on the lookout for new writers, photographers and illustrators for the blog! The motivation could be a strong personal interest or hobby or perhaps as part of a school or college project. The blog has had over 62,000 visits so far so it’s an excellent place to get profile. Butterflies: Peter Martin has contributed a fascinating series of posts on butterflies at the Pond – see here. 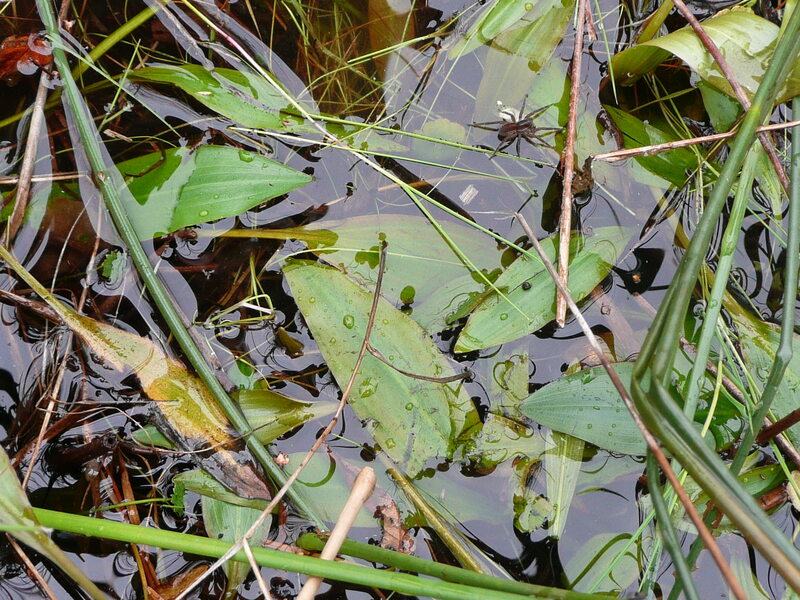 Plants: Michelle Salter has published a popular series of posts on plants that can be seen at the Pond eg here and here. Birds and other wildlife: Peter Hutchins wrote a post on the 42 species he saw on a 1.5 hour walk round the Pond! See here. Colin Gray’s article on bees, written in 2008, is still the most popular article written! Fish – we’d really appreciate an author on any aspect of this subject as we have very few articles so far! History – I’m sure there’s lots more to write about but we’ve had a few really interesting articles that might inspire you, see here and here. Regarding photography at the Pond, we have a site on Flickr that you might want to join or take a look at. 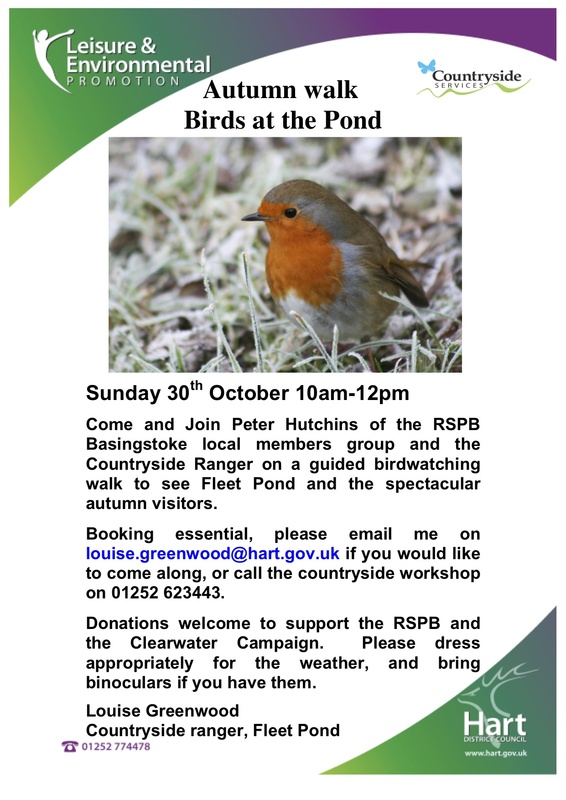 This site was set up to cover general Fleet Pond Society events as well as wildlife and pond scenes. 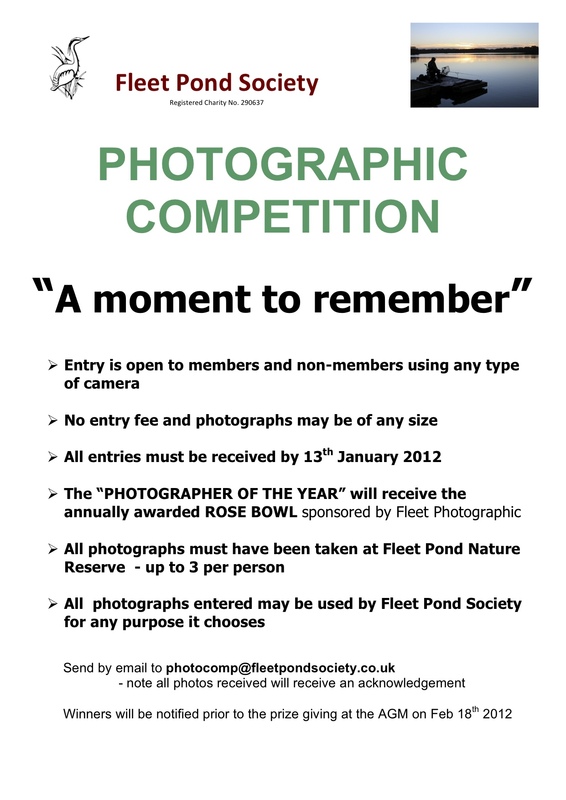 You can also follow Fleet Pond Society on Twitter. 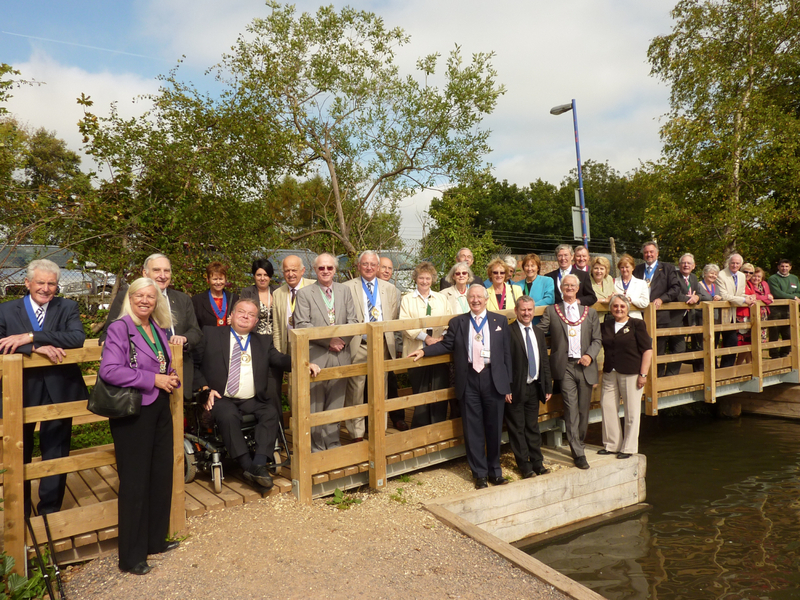 On Tuesday 27 September, the Chairman of Hart District Council, John Kennett, arrived with his mayoral guests from the county. Colin Gray, FPS Chairman, gave a brief talk and answered questions. Everyone seemed to be genuinely charmed by Fleet Pond especially as the new bridges allow some very impressive panoramic views. You are currently browsing the Fleet Pond Blog blog archives for October, 2011.